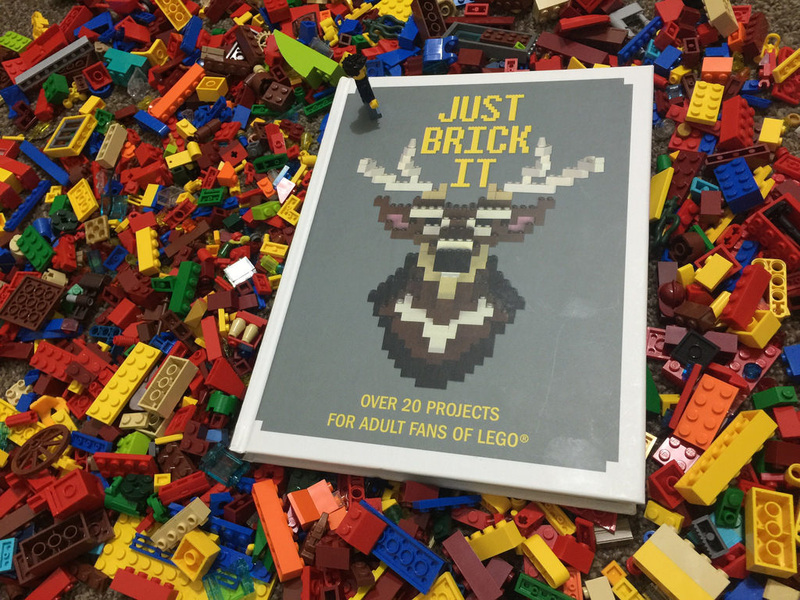 Update: The winner of the Just Brick It book is Janice Greaves! Congratulations Janice, and thankyou to everyone who entered! It was great to read all the brilliant ideas everyone has! A week or so ago, I was lucky enough to receive in the mail two copies of a new LEGO book, called Just Brick It. One copy is to review, with the other copy to be given away! It’s a little bit exciting for me, as this is the first giveaway I’ve been able to run! Just Brick It is written by David Scarfe and published by Hardie Grant, based in Melbourne. 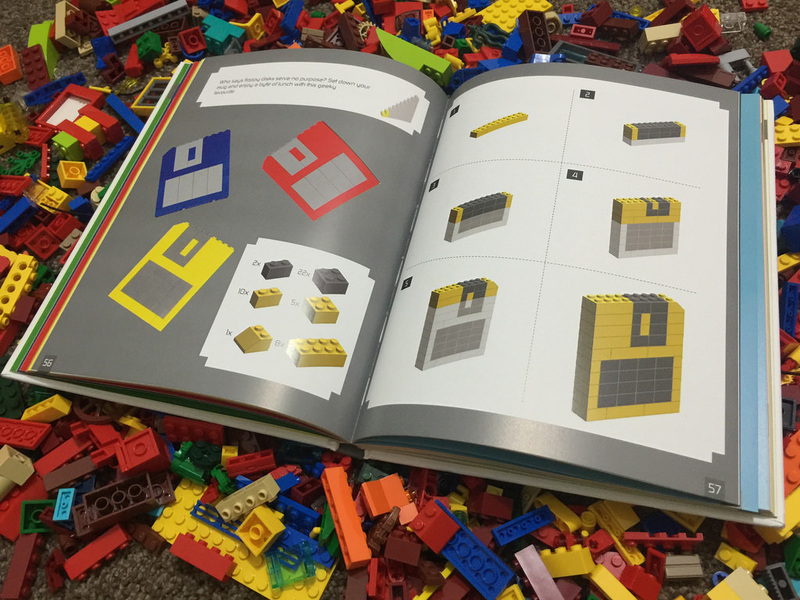 While the book is an unofficial LEGO book, it still has some great ideas for using LEGO around the house and office. It’s focus is the AFOL, and contains around 20 projects ranging from great looking floppy disk coasters, to artistic wall hangings that would also work in an art gallery. There is a bit of everything in there, from toast racks, to Christmas ornaments, to placemats and more. 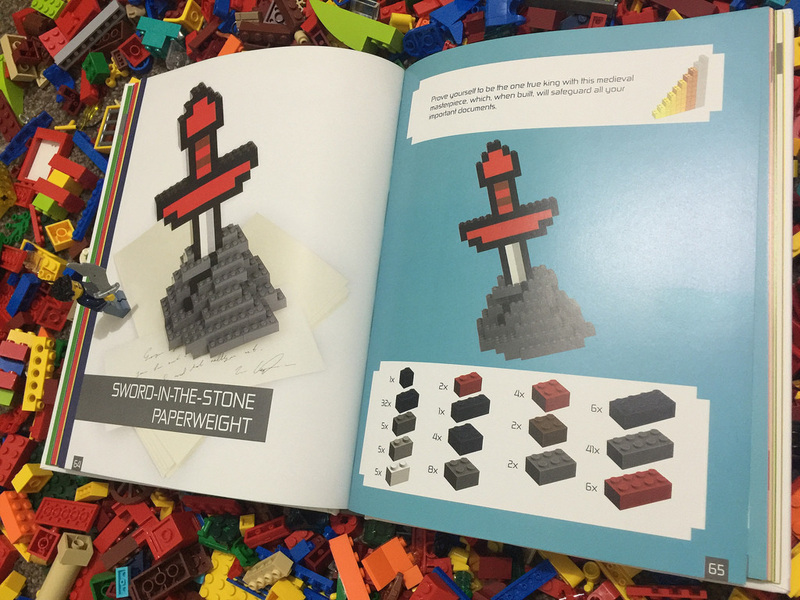 The book will tell you what you require (standard bricks is all), and a step by step guide for building. It’s all nicely laid out with helpful images and beautifully clean photography. There is a little downside – some of the projects are very brick heavy, and unless you have a large collection, many projects will be out of your reach. It’s a shame, because I’d love to build some of them, but my collection just isn’t that large yet (contrary to what my wife says!). However, if you have the cash, head over to Bricklink and spend up! The book itself feels really nice. It’s a nice hardcover, and feels solid – it is a good quality book, and the content inside is very well laid out. The projects are really clever, and would look great anywhere – many of them aren’t what most people would think to make out of LEGO. They are also suitable for many ages, not just the AFOLs that the book is aimed at. With Christmas fast approaching, now is the best time to go and get your presents sorted out! The book is available at the ABC Shop Online for $29.95. So, a rating! This book gets 8 out of 10 bricks. Finally, a huge thanks to Hardie Grant for sending me a copy to review and a copy to giveaway to you fine folk! Give them a follow on Facebook and Twitter! 1. Leave me a comment and let me know what your dream LEGO project would be! Yep, this includes dream LEGO sets, LEGO Ideas projects, anything, big or small! 2. Give BricktasticBlog a like on Facebook. 3. Be a resident of Australia with a valid postal address – not a PO Box. The winner will be selected at random using RandomPicker. Entries close at 11:59pm (WST) on Thursday November 19, 2015. The winner will be announced (and contacted via Facebook) on Monday November 23. If no response has been received by the winner within 72 hours of initial contact, a new winner will be drawn.